London - April 5, 2018: Motorsport Network today confirmed that James Allen will take the senior leadership position as the group's President of its operations in Europe, Middle East and Africa and consolidated this new appointment with confirmation that the company's London office would formally become its European headquarters. Motorsport Network is a digital-first business that connects hundreds of millions of people who love cars and motorsport. The company's extensive portfolio of automotive and motorsport platforms are managed from 81 countries in 17 languages and generate in excess of 250m page views per month and also reaches 27 million TV households. 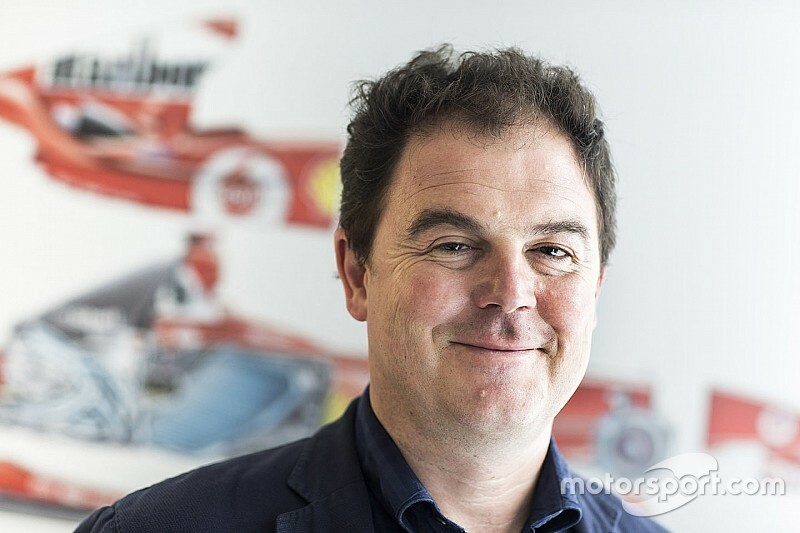 Allen, 51, joined Motorsport Network in July 2017 when he sold an interest in his digital content business and eponymous digital platform, 'JA on F1' to the group and subsequently took up a leading role in developing Motorsport Network's branded content business. With today's announcement, Motorsport Network has acquired the remaining interest in 'JA on F1' to become a fully integrated Network business. In his new post, James will broaden his remit to lead Motorsport Network's 'digital-first' approach to its operations outside of the Americas, with a key mission to drive client value from the consolidation and alignment of the company's significant portfolio of assets in both the automotive and motorsport sectors. The company today holds over 18m visual assets under management, owns the most extensive catalogue of international web properties in its industry verticals and is rapidly growing its linear and OTT television operations. On his appointment, Allen said, "Motorsport Network is a unique business and I firmly believe that over the next three to five years the industry will increasingly benefit from the platform we are evolving. To have a chance to shape that platform is a singular honour. "With the realignment of Motorsport Network towards a European hub based in London and the full integration of my business into the group, the pathway ahead is quite clear to me. With a talented team, our task is to build on the phenomenal scale that has been achieved. It's going to be hard work, but I can promise we'll move fast and be distinctive." James grew up in a motorsport family as son of Bill Allen, a class winner at Le Mans with Lotus in the 1960s. James began his own motorsport career with the Brabham F1 team in 1990, handling the team's communications after completing a Masters in English & Modern Languages at Oxford University. Allen consolidated his industry reputation as lead Formula 1 commentator with ITV, garnering three British Academy of Film & Television Awards (BAFTAs) during this period. He subsequently took on the post of the BBC's F1 correspondent and for two decades, he also covered Formula 1 for the Financial Times. In 2009, James founded JA on F1, which quickly became the go-to blog platform for insight and analysis of Formula 1 and also provided the platform to instigate ground-breaking initiatives such as the 2010 FOTA Fans' Forum, F1's first fan connectivity event. James concluded,"This is a very exciting opportunity. I'm passionate about the sport and you could say that my 29 years at the sharp end of the motorsport media business will serve me well in this new challenge." Reflecting on James Allen's appointment, Motorsport Network's Chairman, Zak Brown said,"It's a great pleasure to confirm James' appointment today in this key strategic role. As an organisation, we have been fortunate to have someone of James' calibre, and his digital knowledge as well as his extensive personal network makes him the ideal candidate to drive the next stage of Motorsport Network's evolution." James will report to Motorsport Network's CEO, Colin Smith, joining an experienced management team that will be augmented by a number of key appointments in the US and Europe to be announced shortly.